This tour will guide you through the oldest commercial and residential areas, with over forty of Fernie's most significant historical buildings as well as a series of exhibits established throughout town. Fernie's heritage inventory includes its Courthouse (1911), City Hall (1905) and the old Post Office (1908). Heritage Tour Guidebooks are available at the Visitor Centre and other venues for purchase. 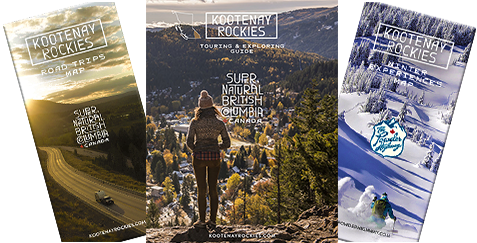 Satellite Exhibits: As part of their mandate to preserve and present Fernie's history, the Fernie & District Historical Society has created a series of satellite exhibits in local businesses and public spaces. Some venues are: Carosellas, Memorial Arena, Heritage Library, Seniors Centre, Ski & Bike Base, Visitor Centre and the Vogue Theatre. In most cases, the themes of the exhibits compliment the locations. Fernie’s 1911 Courthouse is included in the Heritage Walking Tour.